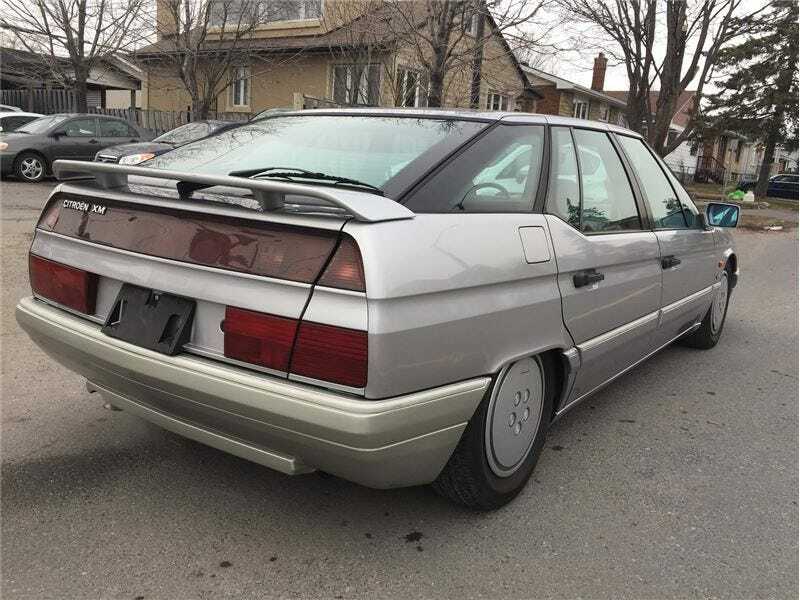 While cruising through AutoTrader, I came across something rather interesting, an extremely clean 1994 Citroen XM. I quite enjoy unique cars, and Citroens are up there with the strangest of them all. This particular example is in Ottawa, Ontario, and according to the seller, it is the only one for sale in North America right now. This XM appears to be in excellent condition, with a very clean interior. It also has Citroen’s complicated Hydropneumatic self levelling system, and its “Hydractive” ride control, which helps give it that classic Citroen “soft but stable” feeling. Whether all of this still works or not remains to be seen, but the self levelling system appears to work according to the pictures. The seller is looking for $12,000 CAD. Its hard to tell if that’s a great bargain, considering there is really nothing else to compare it to. If however, you are looking to ride around in what looks like a French 1980's space ship, then maybe you’ll be able to muster up the cash. Also, the dealer offers “Good credit, bad credit, no credit, ODSP, Low Income, Bankruptcy WE WILL APPROVE YOU AT $0 DOWN. Maybe your Citroen dreams will come true, even if it means a 19.99% interest rate.